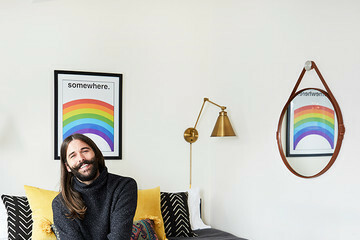 Photographed by Shelly Guberek for Decorist. When moving to a new city, making your space feel like your own is an essential step to really make it feel like home. 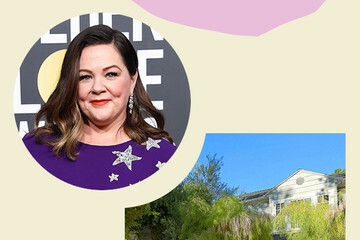 So when actress Jamie Chung and her husband Bryan Greenberg purchased a new condo in Atlanta, they called on a familiar design partner to help them curate their Southern pad with a Cali-cool aesthetic. 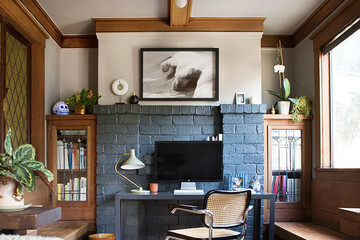 "This was Decorist's third time working with Jamie. She has such incredible style and knows what she likes," says designer Jessica McCarthy. "Jamie wanted a refined look for her living room and dining area that embodied that chic California feel with warm neutrals; grey, blush, olive green, and enough seating for entertaining and throwing parties." Thanks to partnering up with Bed Bath & Beyond and Artfully Walls, McCarthy was able to create a gorgeous aesthetic that feels at once cozy, modern, and fresh in the small historic condo. Read ahead to get an inside look at the amazing design.